Steeler launched a very special edition of the 41 S model. Together with the owner, the Steeler design team developed “Flying Chairs” for a Flybridge experience in the original “coupe” design. In combination with a second steering position mounted on the roof and a bimini top, the concept allows the owner and his wife to enjoy their cruises in the open air. The same comfortable chairs, upholstered in luxurious leather, can also be used in the salon or in the cockpit. The Steeler 41 S is standard powered by a Yanmar 110hp and is constructed of steel. The Mia concept by designer and boat builder Franchini takes more center stage and here we present the hard top version. The most cruiser of the Franchini Mia 6.3 sport yacht the hard top version is again all about versatility to its owners, from two main deck and two lower deck layout choices. The difference in the main deck choices is for an astern galley or a larger galley to starboard. The lower deck choices go for a four cabin with separate entrance for the owners midships stateroom and a guest cabin for kids, and or a three cabin layout with larger owners stateroom at midships. The Franchini Mia 6.3 can be powered by twin Volvo 600hp or optional 725hp engines with IPS pod propulsion. Claasen a yard famous for its traditional and custom build sailing yachts has on 12 April launched the 23 metre Chase Boat. 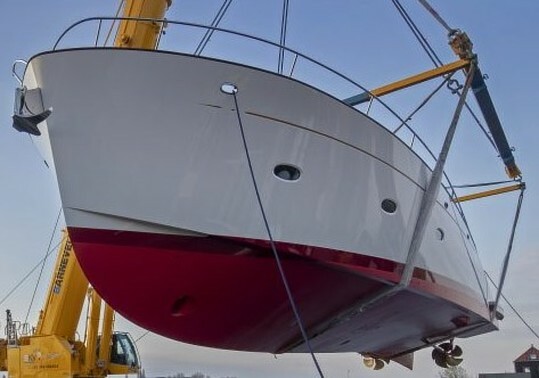 Called M/Y Stargazer, the 23 meter Chase Boat was launched at Claasen Shipyards in the Netherlands. This large classic lined motorboat, intended as a tender for a sailing superyacht, is a unique concept. One of the key tasks of this traditional sport yacht is to get guests and owner from ashore to the yacht in comfort and to visit shallow diving areas. During this project, the Dutch shipyards Vitters and Claasen combined their efforts to build this motorboat. It is the first time the two sister companies worked together on a new build project. Cantiere delle Marche is delighted to announce the sale of Deep Blue 43 a new, fully custom 43-meter explorer yacht designed by Horacio Bozzo Design. Deep Blue 43 is the latest addition to the yard’s significantly active order book. The contract has been signed last December and the latest project details have been defined in these last few weeks. The yacht is already under constructionist with delivery due in 2021. A full custom build, Deep Blue 43 will take full advantage of Cantiere delle Marche’s experiences and its approach to yacht building that has proven being extremely successful and rewarding for all parts involved. Deep Blue 43 has been commissioned by an experienced Owner who, in the past years, owned yachts built by shipyards such as Fead­ship, Lürssen, Blohm and Voss. 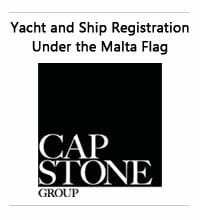 He is a repeat client for CdM, a yard which gained his full confidence having enjoyed the feel of comfort and safety of his Dar­win 102 cruising in the Med but also sailing the expanses of the Pacific Ocean, the Atlantic and reaching the wild beauty of remote destinations and the best diving spots in the world. The mutual trust established between this client and Cantiere delle Marche team is of extreme importance to the good result of the whole process that will lead to the completion of a complex project such as Deep Blue 43. Deep Blue 43 inaugurates a new collaboration with a world-renowned yacht designer: her exterior lines have been designed by Horacio Bozzo Design who is based in Viareggio Italy. Her clean, vaguely severe profile with a raked bow and compact superstructure captures the very soul of an explorer vessel combining it with the elegance of a luxury yacht that will stand the test of time. All shapes, volumes and lines compose a harmonious geometry while her roomy body encompasses luxury social areas and very large and comfortable crew quarters, as requested by the Owner whose plans include long term cruising to reach the farthest corners of the world. 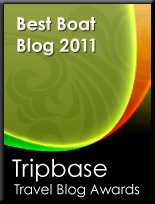 Guest areas are spread over three decks plus a Sun Deck. Deep Blue 43 features a nicely organized interior layout with twelve guests accommodated in six suites, four on the Main Deck and two on the Lower Deck. A cozy saloon on the Main Deck and a large panoramic sky lounge on the Upper Deck are at guests disposal to relax in comfortable and bright environments. A huge cockpit features all amenities including a large swimming pool and lots of space to relax. 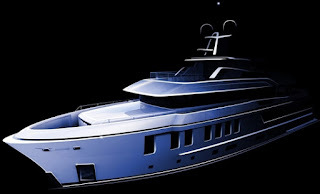 Deep Blue 43 interior designer is still to be disclosed. Deep Blue 43 has a full displacement naval architecture by Sergio Cutolo Hydro Tec office, offering large volume 440 Gross Tons and the smoothest of travel even in rough seas ensuring excellent comfort and total safety. Engineering has been developed by the yard technical department in collaboration with Hydro Tec. With a total length of 42.9 metres, a beam of 8.60m, thanks to hull geometry, large fuel tanks, and extremely frugal consumption, Deep Blue 43 will have an extraordinary range. Perini Navi present the new MY 25 Eco-Tender the first motor yacht launch since the company’s re-branding, and its first ever planing motoryacht. The 25 Eco-tender is effectively a super sport yacht tailored to the requests of her experienced Perini Navi owners. The project grew out of initial discussions with the owners for a bigger sailing boat. It emerged that the owners were very happy with their existing 50m Perini Navi sailing yacht, but their needs had evolved over the years and what they really wanted was not a bigger boat, but more flexible cabin space to accommodate single guests or children. As they prefer to anchor offshore, they also wanted to explore closer inshore in something more substantial than a conventional RIB. The answer was a vessel with the same graceful looks, quality feel and luxurious comfort as the mother ship that could provide additional cabin space and be able to operate independently as an extension of the sailing yacht. The innovations start with a sophisticated hybrid propulsion system developed by Siemens, which provides four operational modes for maximum flexibility: diesel mode with twin Man 1650hp diesel engines powered by two Hamilton water-jets for a maximum speed in excess of 30 knots, hybrid mode one engine drives its neighboring water-jet and also serves as a generator for an e-motor to power the other water-jet, diesel-electric mode with a 130kW generator supplies electricity for two e-motors to drive the waterjets, and Zero-emission mode for completely silent and emissions-free maneuvering or limited cruising, a battery bank can power both waterjets via the e-motors at around 8 knots for up to a hour. In battery mode, for example, the tender will be able to cruise at low speed in marine parks or other environmentally sensitive areas with no emissions and no noise. But on request of the owner, close attention has been paid to minimizing noise in all propulsion modes and contractual sound levels are below 55dB throughout. Unique also on the MY 25 Eco-Tender for her size is the I-Bridge Multitouch navigation system by Team Italia. All the onboard systems, including the hybrid propulsion, can be managed using the high-res 4K touch screens, trackball and jogger. The monitors can be raised to different heights in cockpit or navigation mode, and include an augmented reality function that overlaps navigation data with video images. Moreover, an Anchor Watching System system can display and control all the equipment necessary for monitoring the boat at anchor. In fact, it provides a full around image around the boat and tracking of traffic using the radar systems, thermal camera or search light, and can be programmed to sound a proximity alarm. Equipped with a double VSAT system for internet connection and three Iridium telephones, the Eco-tender can remain connected to the mother ship at over 100 Mbps even when tens of miles distant. Another request of the owners was that guests should be able to board or disembark from the tender easily and safely from the deck of the mother ship. The high hull bulwarks mean that guests can literally step across from one deck to the other. The innovations continue with the exterior layout and on-deck amenities. In addition to the comfy aft cockpit fitted with lounge seating, sun-pads and a fixed swim platform, there is spacious dinette sunk into the fore-deck that further serves as a viewing area from where the owner can pursue his hobby of nature photography. The fresh and contemporary interior, also designed in-house, is based on brushed teak and white lacquered joinery, and features a full dinette-salon and galley on main deck. Below deck, there is a full-beam VIP suite, a double cabin forward and a third cabin with twin single beds, all with en-suite bathrooms. A crew cabin with independent access is located forward of the engine room bulkhead. 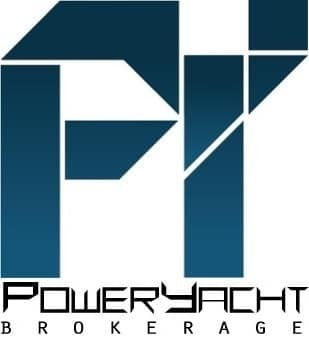 Kha Shing present the project for a new F82 Flybridge motor yacht. As any Monte Fino yacht the F82 delivers spacious area starting from the flybridge with its large dining, seating, sunbathing area and wet bar settled as the ideal alfresco space for entertaining. Foredeck seating and sunbathing area offers a more private escape. The aft bathing platform is electric-hydraulic standard powered for guests who enjoy water sports. The main deck provides a range of social options from exterior seating on the aft deck to the spacious saloon and dining area. The helm and galley can be accessed by crew from side deck to ensure the utmost privacy for the owner and his guests. On the lower accommodation deck, forward master stateroom will be independently access. The large hull side windows in the full-beam aft master stateroom offers exceptional view and plenty of natural lights. 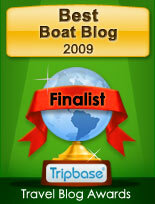 Port and Starboard guest stateroom can be specified with twin or double berths. Crew accommodation and utility area are independently located aft and are accessed via a transom door. The Monte Fino F82 Flybridge is standard powered by twin Cats 1150hp engines. Wim Van Der Valk Beach Club 600 is finally with us. 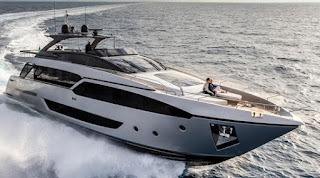 This is probably the most innovative yacht for the year 2019, which reinvents the use of the aft area and makes use of the whole aft deck. Wim Van der Valk, Cor D.Rover, and Ginton; the builder, designer, and naval architect have really to be proud of what they accomplished with Beach Club 600 and the series of model that will follow after it. The Wim Van der Valk 600 features a three double cabins layout, located in the foward part of the main deck, while power come from twin Volvo 725hp with IPS pod propulsion which allow for top speeds up to 24 knots. Beach Club 660 coming next in a few months. So this is a new project from Jet Tern Selene and Howard Chen, who present an innovative semi displacing power catamaran. This request came from an owner who wanted an explorer yacht with a difference. The owner criteria was for a shallow draft, twenty knots cruising speed, and long capability power catamaran. Selene has responded with this 70 Bihull design, which will also feature jet propulsion in order to minimize draft. Galeon continue to present new models, and here it shows the 650 Skydeck, a sport yacht based on the lines of the 640 Fly, but replacing the full flybridge deck with a sport bridge, and the addition of a glass sunroof serving the main deck. The Galeon 650 Skydeck is based around the same features of innovation and space distribution, volume and functionality. The Galeon 650 Skydeck welcomes you outside with an aft cockpit dining area holding up to eight people who can enjoy an entertainment system with a flat screen TV sliding up from the aft galley top, all while protected from the elements by the electric aft sunshade. Further back is the hydraulic bathing platform capable of handling all water paraphernalia and a convenient access to the two berth crew cabin. The top deck offers three sport seats and a sun pad for leisure while the bow deck area can be approached by the revolutionary, electric front window central main deck entrance revealing two separate movable sofas with integrated folding tables for sundeck purpose. Down below the Galeon 650 Skydeck offers a three large suited cabins layout, with a cabin for two below. Power for the Galeon 650 Skydeck is from twin Volvo 900hp up to 1200hp engine options. Clipper present the project for a new Heritage 46. 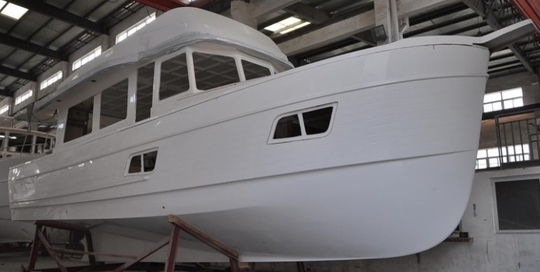 This project is a replacement to the traditional and popular Heritage 40 reinvented and re-imagined for today’s boating needs but still retains those classic Clipper styling cues. The new Clipper 46 is designed as a semi-displacement hull capable of speeds of twenty knots and planing at fourteen comfortably. She can be built as a single or twin engine selection and has the keel as the lowest part of the boat of course. The Clipper Heritage 46 upgrades to a two cabin and two bathroom layout and has a really large saloon area on one level with the cockpit, while boasting a much larger cockpit than the 40 it replaces. Plenty of customizing is available for this layout from the traditional to more contemporary. 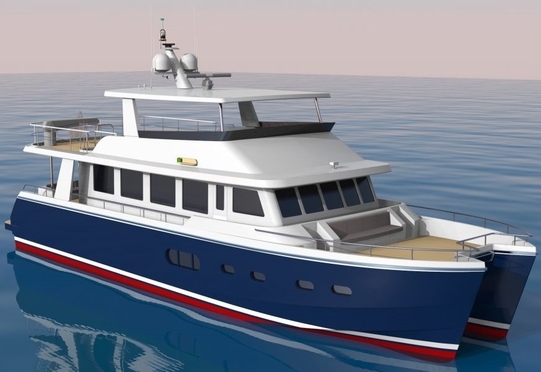 Hull one currently under construction will have a port side galley with forward facing cruising seat on the port side and a double helm chair layout on the starboard side with a pilothouse door amidships to the walk around decks. She will have a fiberglass hard top on the very large flybridge along with seating for ten and a flybridge helm. This first 46 will come in a gloss mahogany finish for a very high end and luxurious feel and will be powered by a single Volvo 600 HP diesel engine.